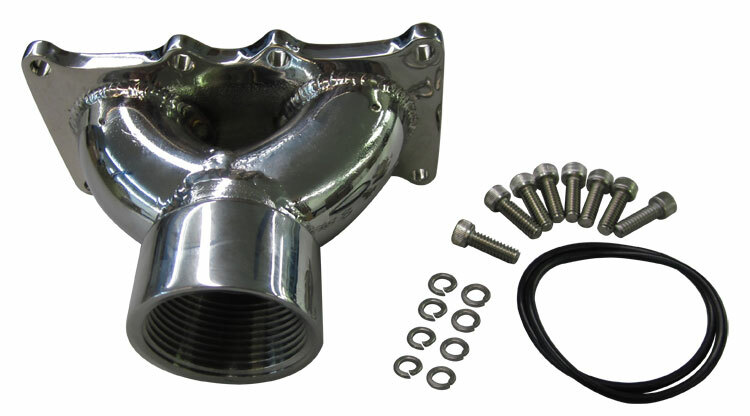 Dual water inlet/outlet manifold is manufactured from 316L polished Stainless steel. Equal length size inlet tubes for equal distribution provided by the massive 1-1/4" NPT Inlet. Equal distribution to each chamber has long been a challenge that until now with modern precision flow technology and data acquisition monitoring was unavailable. Careful engineering was put into the design of both the vacuum and pressure fed characteristics. The design and configuration of the inlet allows tighter easier access and plumbing. Designed for use on a 2 stage pump or 3 stage with a bracket or spacer between the bodies.